Description: STS Turbo systems overcome challenges of traditional installations by mounting the turbos in the rear. 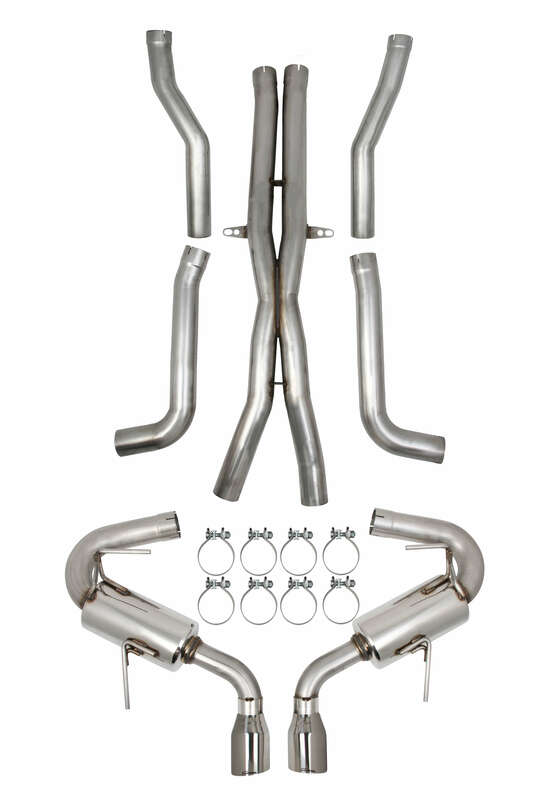 This allows you to retain stock exhaust manifolds, catalytic converters, and mid pipes. Stock intake and throttle body is also able to be retained if desired. Relocating the turbos to the rear help avoid adding additional heat under your hood and you won’t have to worry about clearance or interference issues with the belts, pulleys, or accessories in the engine bay. You’ll also get a better weight transfer since the turbos are in the rear and not adding additional weight to the front of your vehicle. These systems are available as a Tuning Kit which includes STS Turbo specific DiabloSport inTune i3 handheld tuner along with higher rate fuel injectors. 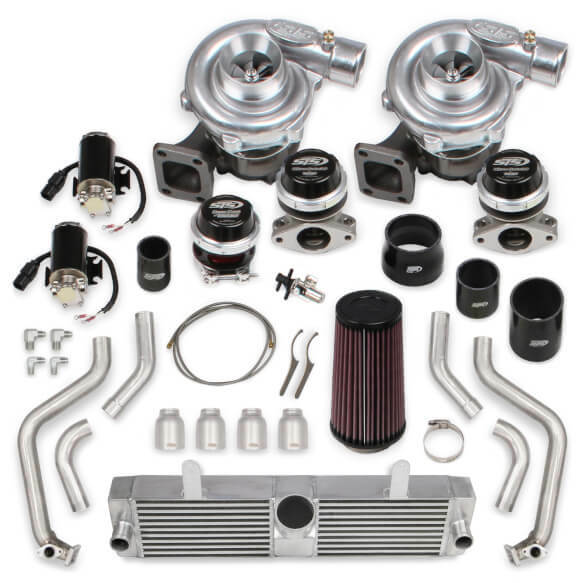 STS rear mount turbo systems come complete with all the components needed for an OEM quality installation, right down to every nut and bolt along with a full color installation manual to walk you through the installation.